In Colorado this week we experienced a brief snow storm and blizzard warning followed by a gorgeous 70 degree sunny day, and in this state that only means one thing: better weather is upon us. I love the changing of seasons because just like the weather and foliage we are met with a new crop of seasonal beers and spring/summer beers are among my favorite. The Brewer’s Project at St. James Gate by Guinness produces some of the best and innovative new beers coming out today and their Guinness Irish Wheat is no exception. I poured the 11.2 oz Irish Wheat bottle in to an official 20 oz Guinness glass and a pure white head built quickly and tall but with minimal density that dissipated in to a perfect quarter inch fluffy blanket. The color is a beautiful golden yellow with a distinct wheat beer cloudiness and a nose dominated by wheat notes and subtle hints of spicy clove and banana. 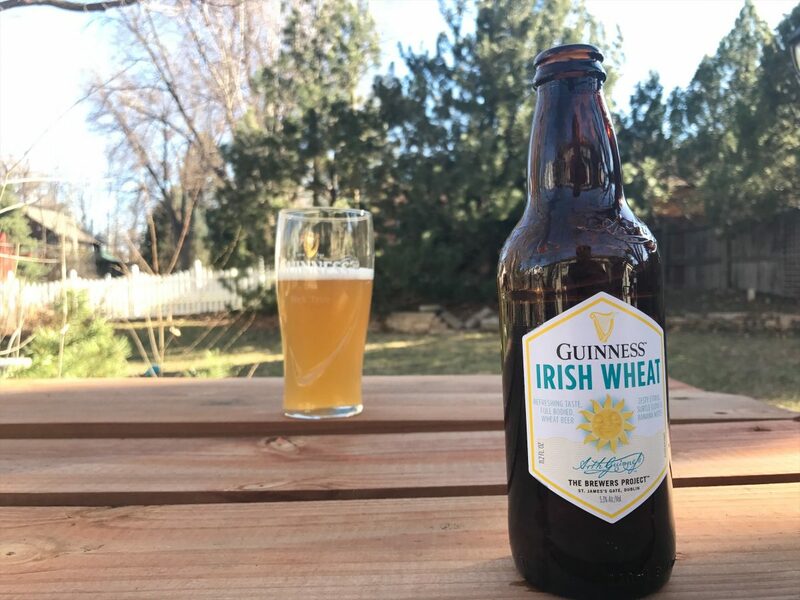 The Brewer’s Project uses the same original and unmodified Guinness ale yeast used in all their beers for over 200 years and it shows on the palate with a distinctly Guinness edge over a pure refreshing wheat base and noticeable notes of banana in every sip. 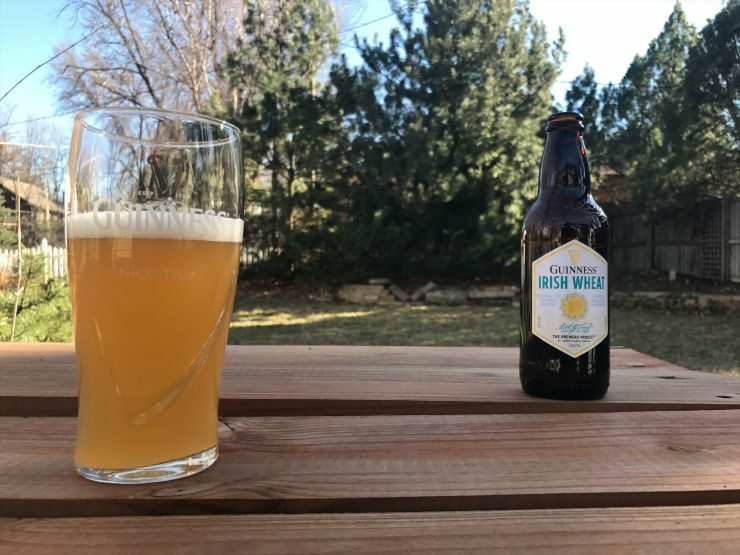 The whole mouthfeel is crisp and simple with the fully wheat grain bill really shining here, making an easy drinking and refreshing beer that is perfect for hot spring and summer nights. 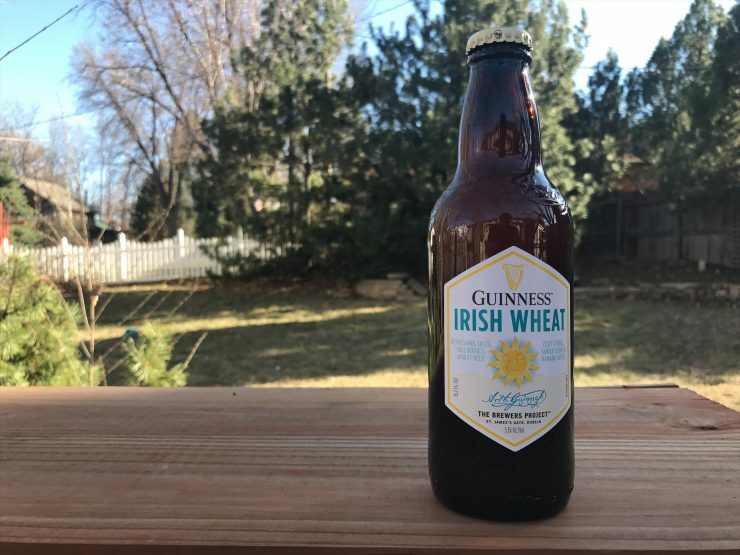 The Brewer’s Project hits it out of park again with Guinness Irish Wheat that is Guinness through and through thanks to a shared soul of the original ale yeast strain. This Wheat beer drinks more like a classic wit than an American unfiltered wheat with its refreshing, subtle, and clean nature. This is the perfect porch sipping beer for the warm seasons already upon us.